The population of Anchorage is about 278,000 people, an interesting fact as 42% of the state’s entire population lives in Anchorage. While the population may be small, Alaska is the largest State in the U.S. at 1/5 of the size of the combined lower 48 states. The town of Anchorage is almost as large as Delaware; it stretches from Portage Glacier all the way to Cook Inlet, a distance of more than 50 miles. Anchorage itself is located along the coast of the Cook Inlet in South-central Alaska and it sits at the base of the Chugach mountain range. Check out our “Anchorage & Chugach Mountain Range tour” if you are interested in a quick aerial tour of what the city looks like. The weather in Anchorage is not as extreme as in other parts of the state. In the summer you can expect an average temperature of 60F and approximately 19 hours of daylight. In the winter you can expect temperatures as low as 20F and approximately 7 hours of daylight. The average snowfall in winter is about 70.6 inches. From Anchorage you can view 6 different Mountain Ranges including the Chugach Mountains, Talkeetna mountains, Tordrillo mountains, Kenai mountains, Aleutian Range, and finally the Alaska Range which includes Mt. McKinley. Mount McKinley or Denali as it also called is the largest mountain in North America towering to an impressive 20,320 feet. Be sure to check out our “Mt. McKinley tour” if you have any interest in seeing this impressive Mountain. Alaska is a land full of fliers, with more air traffic than anywhere else in the country. 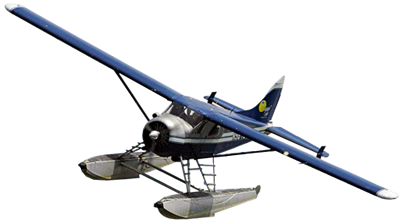 There are over 10,000 active pilots residing in Alaska many with their planes kept at Lake Hood Seaplane Base. Lake Hood is the largest seaplane base in the world with an average of 160 takeoffs and landings daily. These impressive facts about aviation in Alaska only solidify the fact that Anchorage and its surrounding areas must be seen from the air. With only about a quarter of the state being accessible by roads, aviation is a huge part of the culture in both Anchorage, and Alaska as a whole. Don’t miss out on the opportunity to see some of these remote areas, check out Regal Air’s wide selection of Day trips and Flightseeing tours out of Lake Hood. Many of these tours leave daily and they all aim to provide a truly unmatched and unforgettable experience.